In cities with rent ordinances such as San Francisco, Berkeley, and Oakland, landlords may move into an apartment and evict tenants only if certain conditions are met. These evictions are referred to as owner move-in evictions or “OMI evictions.” When a landlord conducts an owner move-in eviction, it must be done in good faith and without ulterior motive. Unfortunately, OMI eviction notices are often used to wrongfully evict rent-controlled tenants when the owner has no real intention of moving in. Always consult with a good tenant lawyer before making any decisions about any OMI notice you’ve been served. San Francisco tenants in rent-controlled units who receive owner move-in eviction notices are entitled to relocation expenses. For OMI notices served to qualified tenants from 3/1/17 to 2/2/18 the landlord is required to pay $6,281 per tenant up to a maximum of $18,843 per unit. As of March 1, 2011, tenants who lived in the unit for one year or longer are entitled to $5,101 each, up to a maximum of $15,304 per unit. Tenants that 60 years old or above, disabled tenants, or households with minor children, are entitled to an additional $4,188. Per the San Francisco Rent Ordinance, once a landlord does one owner move-in eviction in a building, no other current or future landlords may conduct any further owner move-in evictions. Tenants thus have some leverage in negotiating terms of their relocation or buyouts since landlords may not want to use up their one owner move-in eviction. A landlord may not conduct an owner move-in eviction when there is a comparable unit available. For example, if there are multiple one bedroom units in a rent-controlled building and one is vacant, a landlord cannot serve an OMI eviction on a tenant in another one bedroom unit in the building just to get that tenant out. Also, if a comparable unit becomes available during the notice period, the landlord must withdraw any pending OMI eviction. For OMI evictions in San Francisco an owner must not have an alternative principal place of residence and must have at least a 25% ownership interest in the subject property. There are other conditions and restrictions to OMI and RMI (relative move-in) evictions. Please call us to assess your particular circumstance before making any decisions or communicating with your landlord or his/her lawyer about any eviction notice you have received. On March 14, 2010, Ordinance No. 33-10 became law and added section 37.9(j) to the San Francisco Rent Ordinance, providing that a tenant who has resided in the unit for at least one year with a minor child may not be evicted during the school year for an owner or relative move-in eviction. There are many other defenses to OMIs and RMIs (relative move-ins). With the real estate market what it is in the Bay Area many landlords want tenants paying below market rent out of their buildings. The financial incentive for a long-standing, rent-controlled tenant to move out so that the landlord can re-rent the unit at market rate is a big one and tempts many landlords to attempt to circumvent the law. Remember, just because you receive an OMI or RMI notice, does not mean you have to move out. 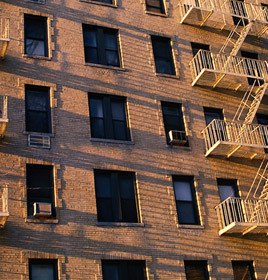 Once a tenant has vacated the unit, the landlord must move into that unit within 3 months. Failure to do so, will give rise to a claim for wrongful eviction. Once a landlord does move into the vacant unit, he/she must remain in the unit for a period of 3 years. Failure to do so, will give rise to a claim for Wrongful eviction. If you moved out of a San Francisco rent-controlled unit pursuant to an OMI eviction and have since discovered that the landlord has not lived there for 36 consecutive months, you may have a claim for wrongful eviction and should Contact our office immediately. If you have been subjected to wrongful eviction or attempted wrongful eviction by the owner or management of your Bay Area rent-controlled apartment, call a San Francisco tenant’s lawyer at Bracamontes & Vlasak, P.C., at 415.835.6777 today for a free consultation.